Candela is a permanent video projection art project I did in Long Island City, NY. It was made possible by the support of Plaxall, Inc.
Hardware design by J McDonald of Shape Studio and Amit Patil of Plaxall, Inc.
You can see Candela's flame flicker every night in Long Island City. Check here for maps and other information to plan your visit. Candela seen from the Gantry Plaza State Park walk next to Anable Basin near North Basin Road. The video and static light projection rig on the rooftop with the Manhattan skyline in the background. It started with a video of a water printer filmed at a Japanese Mall. My friend Ian Charnas sent the clip to Mike O'Toole and I who were brainstorming ideas for an art project. I thought it would be fun if one's body could pass through a hole in a wall of water and had the idea that a swing might be the way to do it. After being rejected for a more elaborate version, we got a grant from Maker Faire to build a simple version of the Waterfall Swing. Ian brought in Andrew Witte and the four of us built the first Waterfall Swing in one month for the 2011 Bay Area Maker Faire starting with construction in Brooklyn, NY then Cleveland, OH and completing in Oakland, CA with help from friends all along the way. We got our big break when a video that I shot went viral on YouTube through a post on Reddit made by my friend Micke Kazarnowicz. That lead to the Waterfall Swing being part of a Honda Civic commercial which lead to an appearance on the TODAY Show on Rockefeller Plaza. I hold US Patent 20110312430 on the Waterfall Swing along with Mike O'Toole. The newest Waterfall Swing is a four person, 40' wide version designed by Mike O'Toole that also has a wheelchair platform. It debuted in Australia at the 2015 Sydney Festival. A looping GIF a fan made from a video I shot at the World Maker Faire, New York Hall of Science. Watch our interview with STUDIO, Australia's arts channel, about the Waterfall Swing installation at Sydney Festival. Waterfall Swing at night at Darling Harbour for Sydney Festival 2015. Ian Charnas, Andrew Ratcliff, Mike O'Toole and Jon Isbell give the first push for the opening of the Waterfall Swing at Darling Harbour for Sydney Festival. Wheelchair rider using the platform on the Waterfall Swing at Darling Harbour for Sydney Festival. Construction of the Waterfall Swing at Darling Harbour for Sydney Festival. Press confernece for the opening of the Waterfall Swing at Sydney Festival. 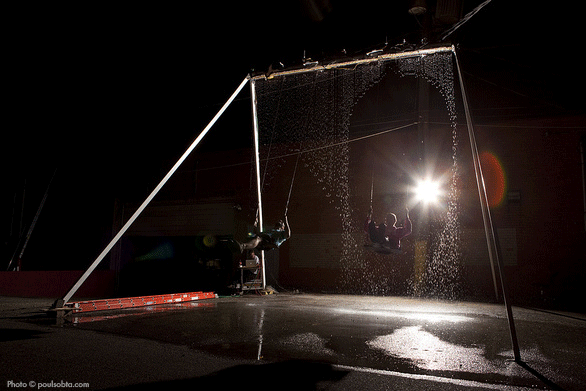 Photos from the Waterfall Swing installation at Darling Harbour for Sydney Festival. Matt Lauer & Savanna Guthrie ride the Waterfall Swing on the TODAY Show on Rockefeller Plaza! The Waterfall Swing is featured in this ad for the Honda Civic. J McDonald & Ian Charnas testing an early version of the Waterfall Swing. Photo by Paul Sobota. Dale Dougherty, founder of Make, in his TED talk We are Makers. He talks about the Waterfall Swing around 02:06 minute mark. More photos and videos, including my favorite, are available here. Here is portfolio of my recent mural and sign work. All work is hand painted. Contact me if you are interested in custom work. Hand painted sign for my friends at Dolce Brooklyn who make the best affigatos and gelato. Exterior sign at CrossFit Red Hook. Hand painted on brick. 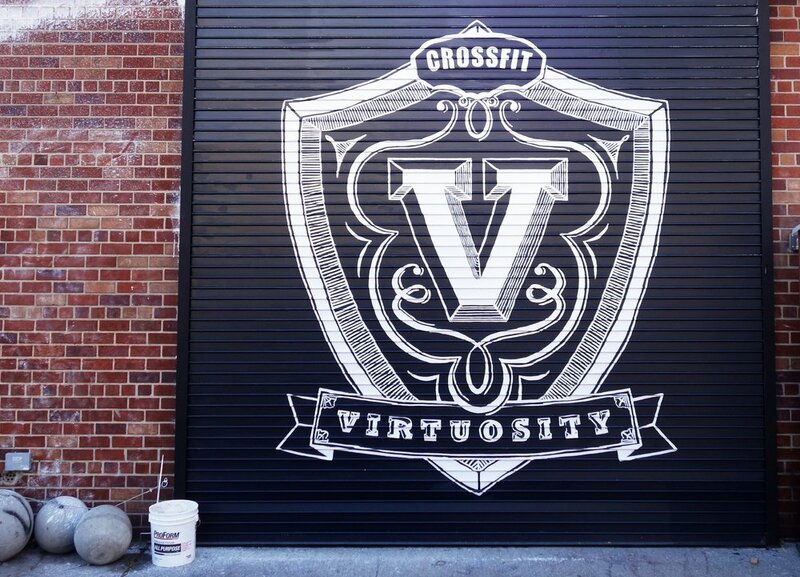 Hand painted interior logo at CrossFit Red Hook. Hand painted logo on interior handstand wall for Movement Brooklyn. Mural I made for Movement Brooklyn based on their logo. Rollgate sign at CrossFit Virtuosity in Williamsburg, Brooklyn, NY. Interior mural in progress at CrossFit Virtuosity. Design by Inna Aizenshtein. Sign on a brick interior wall in Williamsburg, Brooklyn for Brooklyn Barbell Club. Chalkboard style sign for The Golden Belle Spa at Bloom Beauty Lounge in Manhattan. I also designed the logo. 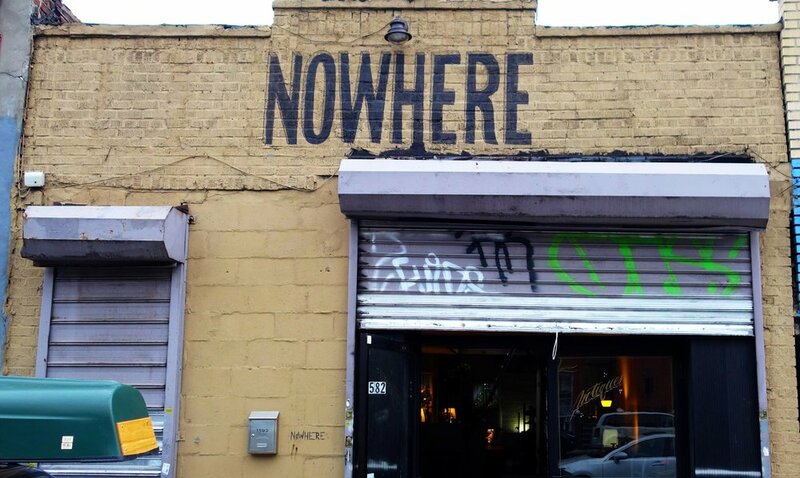 Sign on brick exterior of Nowhere Studios, Brooklyn, NY. Signs on metal door and rollgate at CrossFit Gantry in Long Island City, Queens, NY. Trio of murals at CrossFit Gantry. A vintage look sign painted for Plaxall, Inc in Long Island City, NY. Logo on rollgate for Bushwick Food Coop in Bushwick, Brooklyn, NY. Tigerlily Holistic sign on Jefferson Street in Bushwick near my loft. Mural on plywood at the former location of CrossFit Virtuosity on N8th in Williamsburg, Brooklyn, NY. Exterior sign at former location of Brooklyn Barbell Club. Hand painted on brick. F10 Adelaide Supersonic Meat Plane mural. Loft residence Bushwick, Brooklyn, NY. The idea for the Water Arch came from "feed" which was the theme of the Ingenuity Festival for which I developed the prototype. Twin towers, unconnected, each feed and consume a stream of laminar water so smooth and glassy that the streams appear to be curved rods of glass. Moving laminar streams out of the confines of a fountain makes them accessible and interactive tempting viewers to touch them and discover they are made of rapidly moving water and not glass. Family interacting with the Water Arch. Woman interacting with laminar water jets. 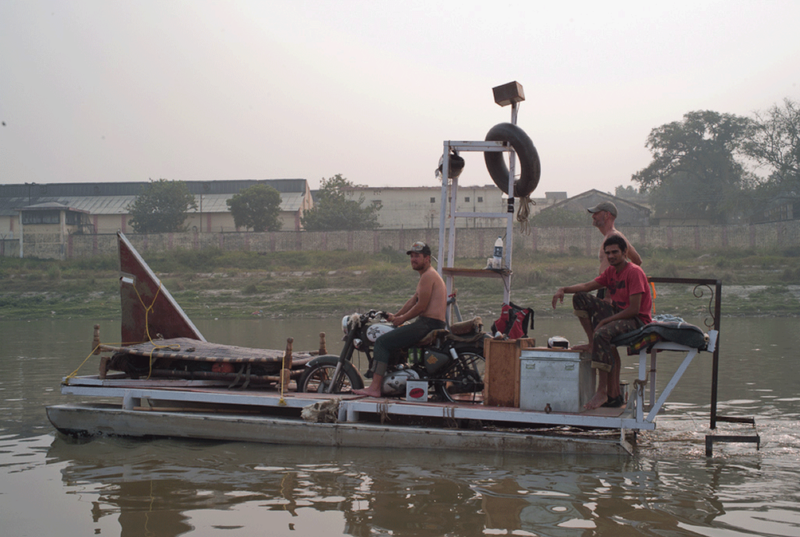 I am a member of the Swimming Cities art collective and traveled 500 miles down the Ganges River from Farrukhabad to Varanasi on a motorcycle powered boat. 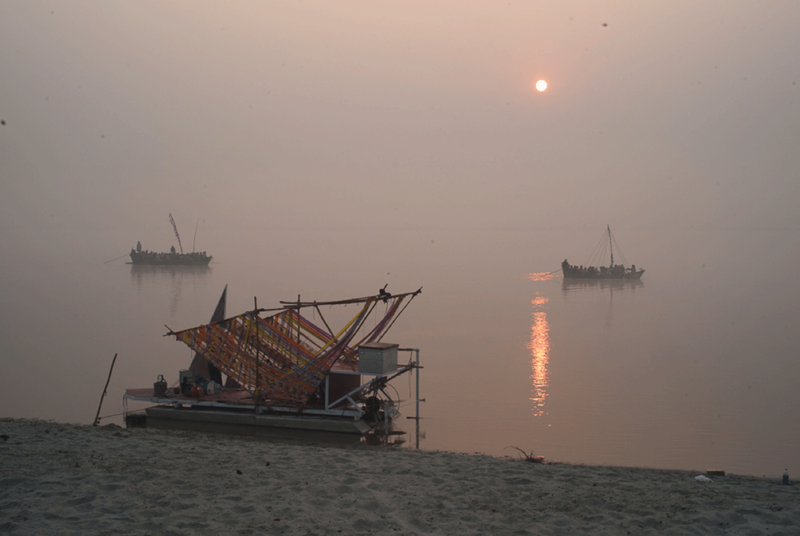 My involvement was primarily in India where I managed part of the final construction of the boats. On the river, I was second in command of the Mary O, one of the five boats. Read about our preparations in The New Yorker. This video of two of the boats navigating under a bridge will give you an idea of what it was like to navigate the Ganges on pontoon boats. Copyright © 2019, Andrew McNair Ratcliff. All rights reserved.